Court Craft was engaged by Blue Mountains City Council in 2005 to conduct a conditions assessment of all its court facilities. 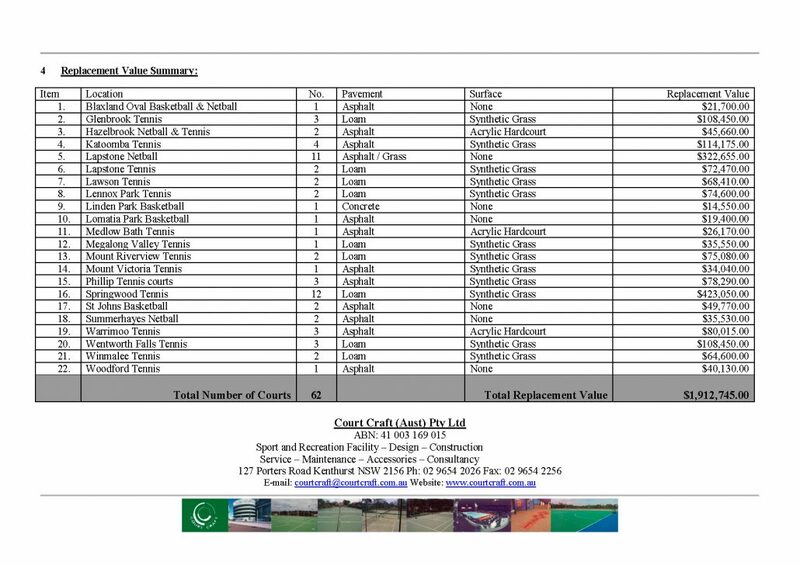 At the commencement of this assessment, Council records showed 25 court facilities with a total of 73 courts. The focus of the assessment for each facility was the playing surface, enclosures system and accessories. This assessment was presented in condition reports on each individual facility under the headings Condition Assessment, Asset Valuation, Asset Maintenance and Renewal Program, Asset Performance & Capacity, and Condition Rating.